Every mala is packed, shipped and sent first class USPS for domestic orders. International orders are shipped FedEx Ground with customer paying the cost of shipping. The journey to your perfect mala is as individual as you are! Guiding you to discover the mala that best supports you – for where you are right now in your life – is one of my greatest joys and has become a guiding light for Full Moon Malas. Place your custom order below or fill-out the form if you have any additional questions. Place your $95.00 Custom Mala deposit. Please note this is a non-refundable transaction. 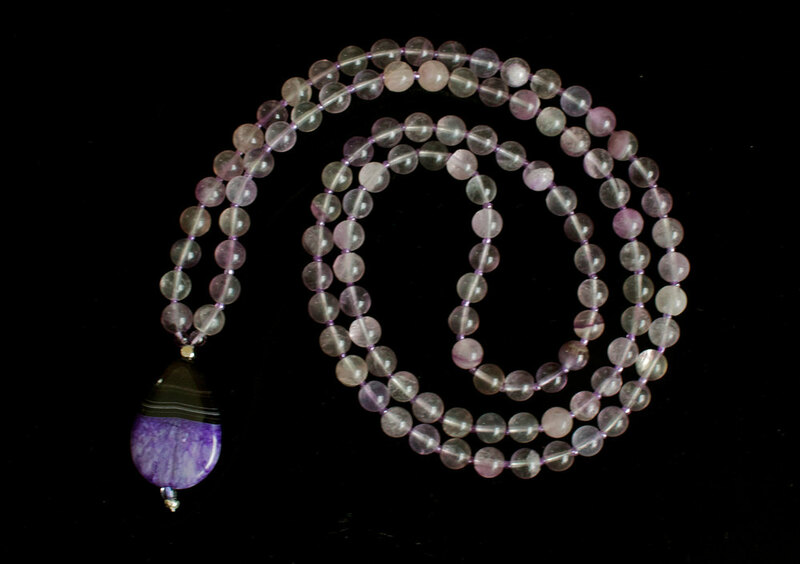 To learn more about the Custom Mala process before placing your order please the Custom Mala page.